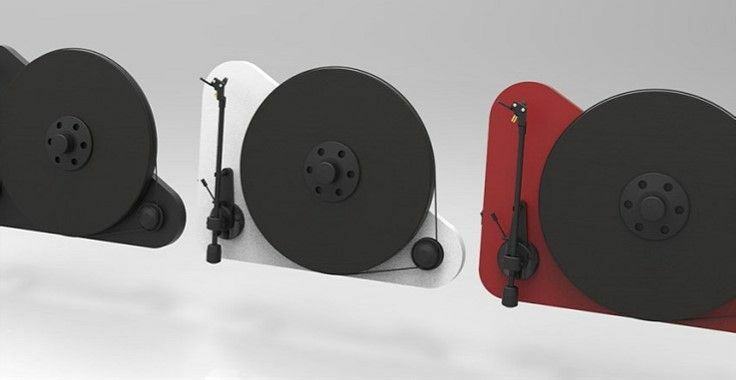 Austrian turntable specialist Pro-Ject is getting in on the vertical turntable act with its new VT-E BT model. That's right - a device that enables you to play your vinyl vertically. You can even fit it to a wall! Designed to a fix to a wall of your choice - or operate horizontally from your desk or table - the VT-E BT uses a supplied record clamp to ensure the record doesn't slip, while the carefully sprung tonearm skilfully stays in its vertical place. The turntable's built-in Bluetooth technology wirelessly connects with the speakers, meaning the end of the space-devouring ‘hi-fi stack' (although you can still connect it up to your hi-fi if that's your thing, too). The Pro-Ject VT-E BT is available now with a price tag of £379. Order one today from gak.co.uk and other retailers. If you're in the market for a new gaming monitor, how about one will a little curvature for that extra level of immersion? The new AGON range range AOC might be just the ticket with its 31.5-inch AG322QCX with QHD resolution and its 27-inch Full HD display AG272FCX. Both have a subtle curvature of 1800, a refresh rate of 144 Hz and AMD FreeSync technology providing a super-smooth gaming experience with no stuttering, tearing or motion blur. These gaming monitors also come with plenty of other little features, including a variety of gaming modes and settings (adjustable with the included QuickSwitch keypad), a headset holder, a handle, ergonomic adjustment options and customisable LED lights. The AOC AGON AG322QCX and AOC AGON AG272FCX will be available in May with price tags of £519 and £389 respectively. Battlefield 1's new DLC pack, They Shall Not Pass, is set to drop next month for PS4, Xbox One and PC and it's bringing with it a brand new mode called Frontlines. Essentially working like a cross between Rush and Conquest, Frontlines is all about working to take control of a line of objectives that link two opposing bases. The further you push, the greater chance you have of reaching said outpost and destroying its telegraph poles. Alongside Frontlines, They Shall Not Pass will also include four brand new maps, the Char 2C tank and much more. You can grab the expansion as part of Battlefield 1's Premium Pass. Order one today from Tesco for £39.99.